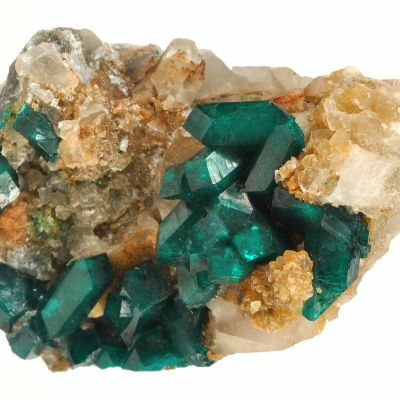 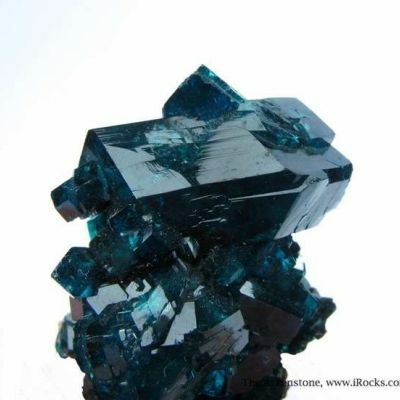 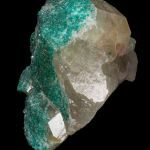 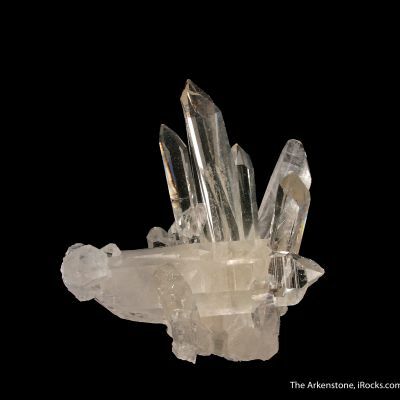 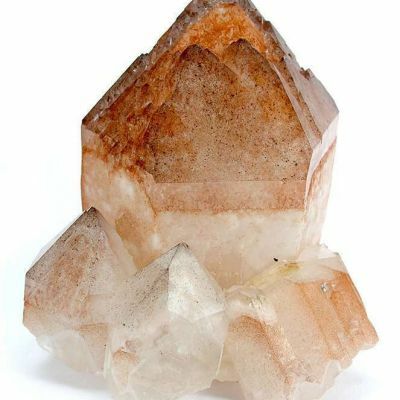 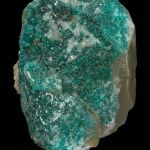 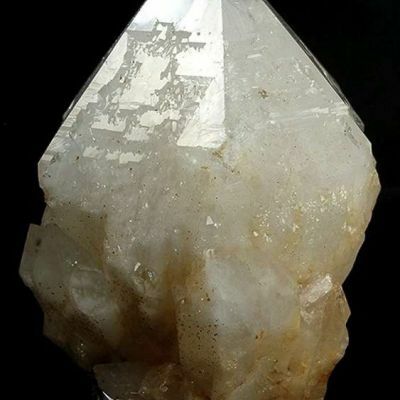 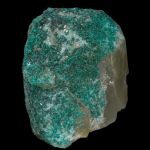 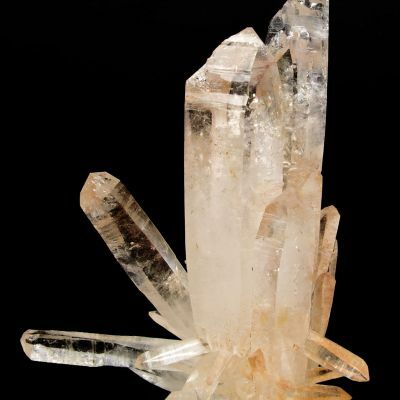 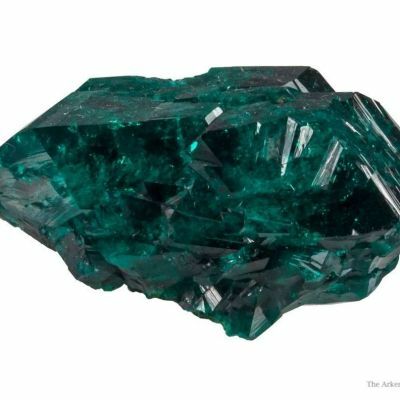 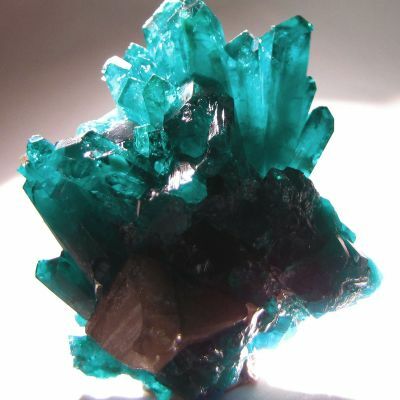 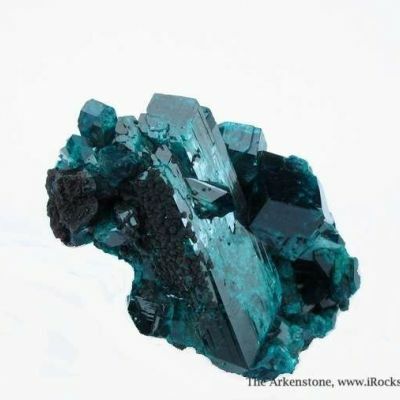 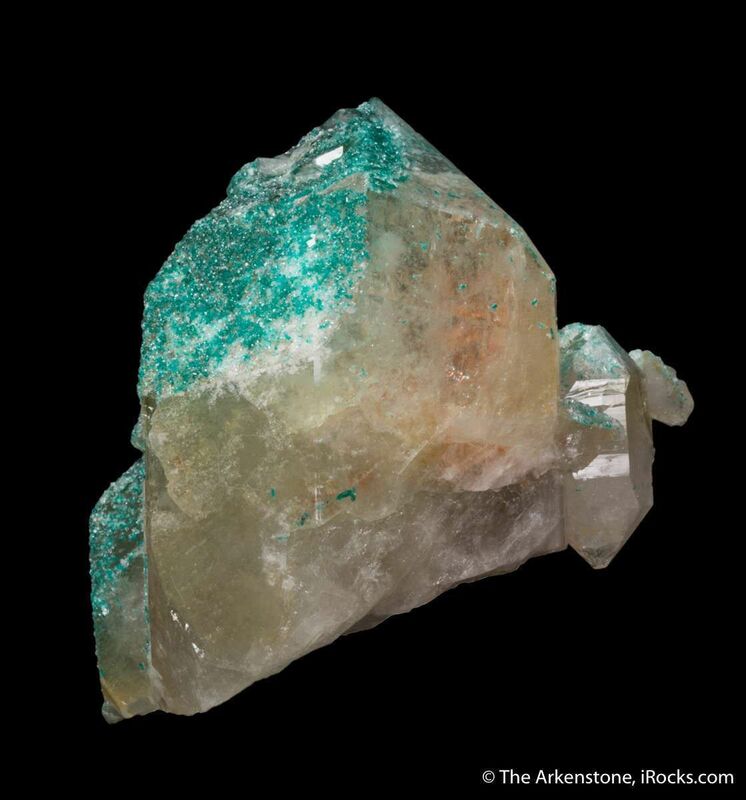 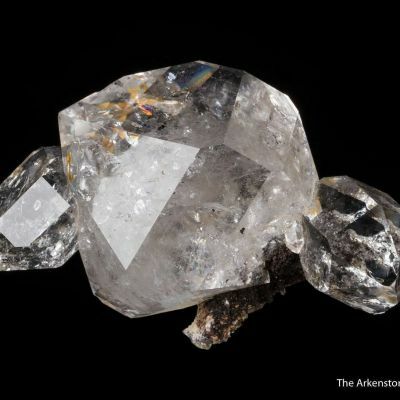 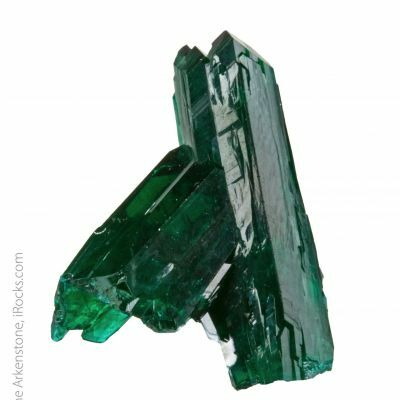 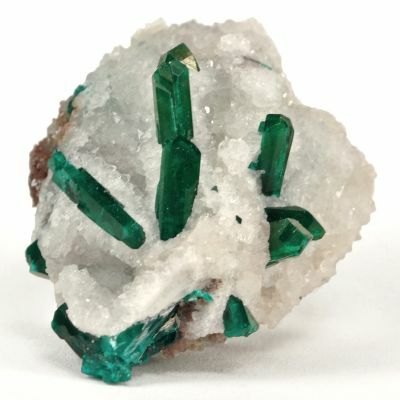 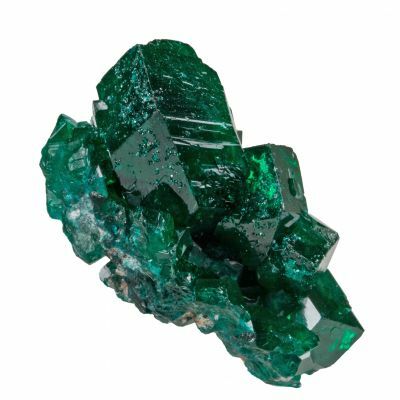 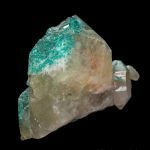 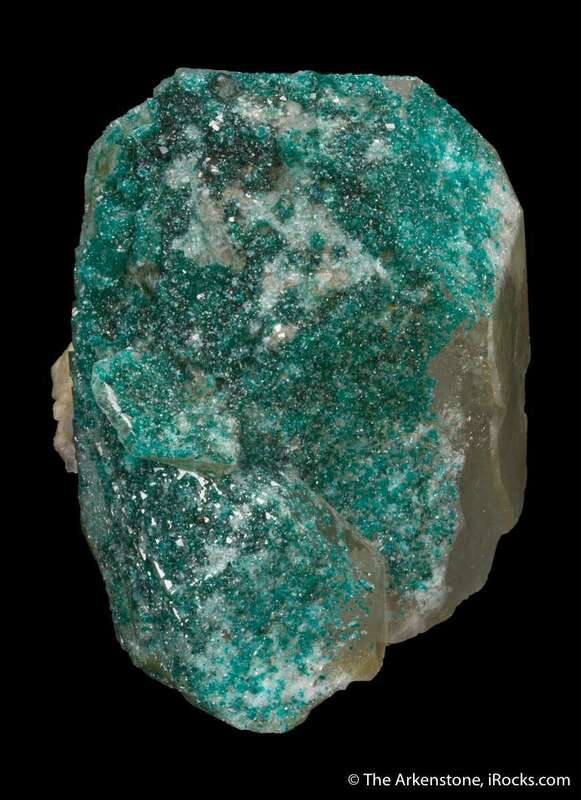 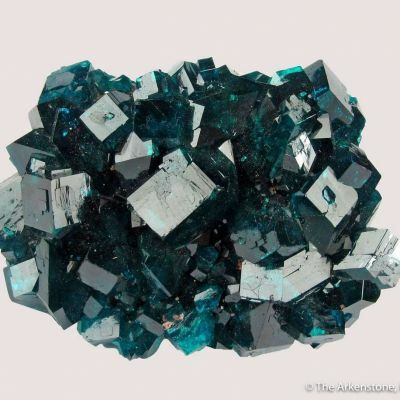 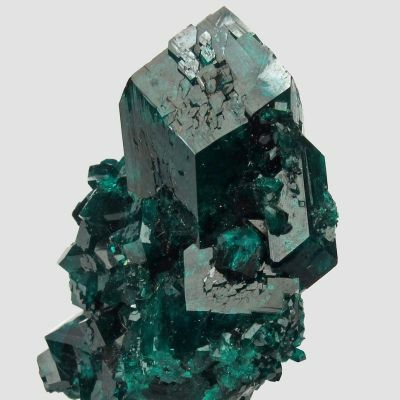 Quartz included with Dioptase is very rare in nature, known only from a small handful of localities. 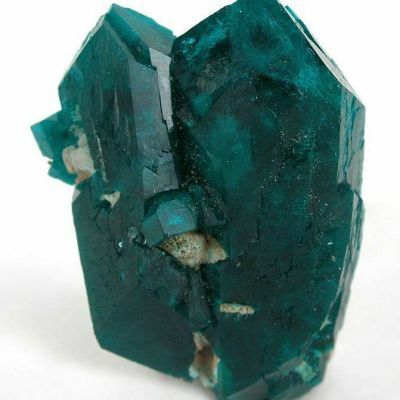 This monster is the largest complete crystal I have seen, and is chock-filled with inclusions of brilliant green dioptase! 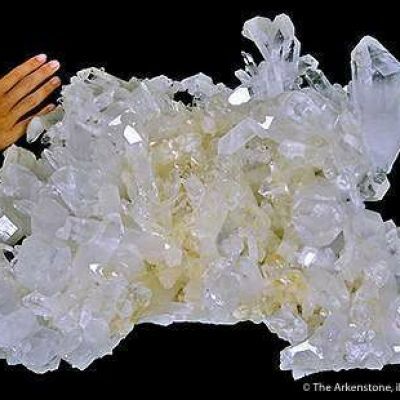 It is 895 grams, and complete all around. 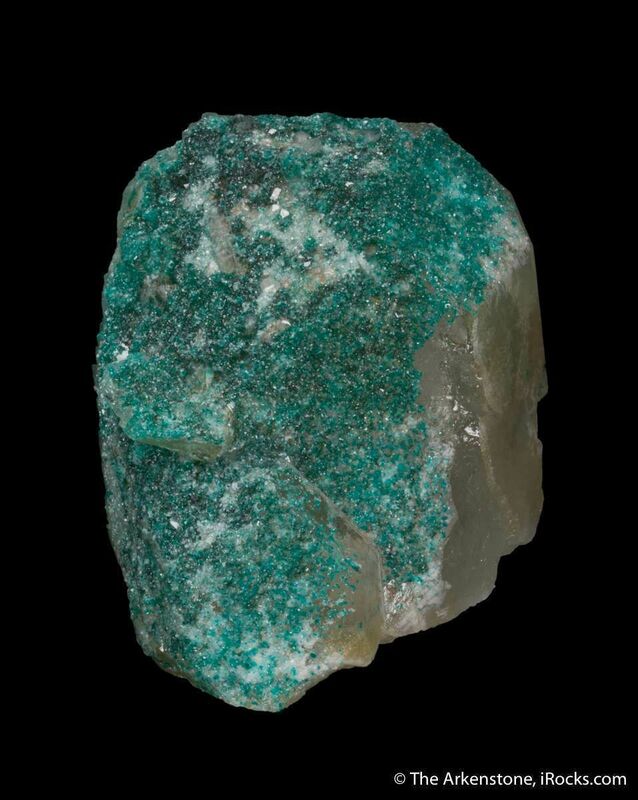 One side is completely carpeted by a surface sparkle, ingrown into the surface. 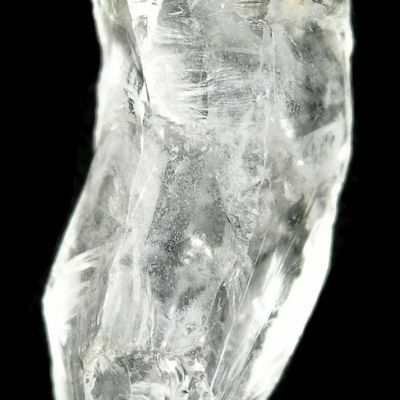 Other faces show the inclusions. 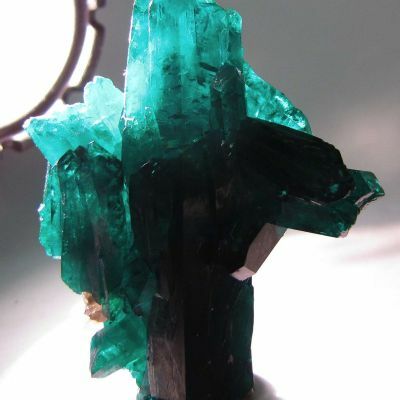 In person, it is glowing and translucent, and very impressive in a case. 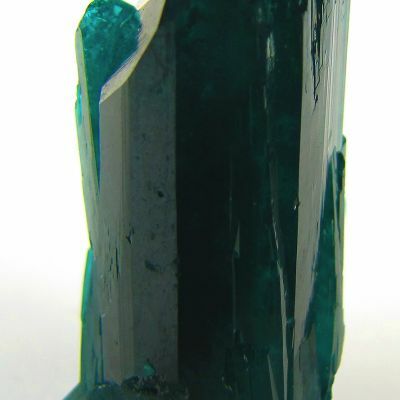 Comes with a custom lucite base for display. 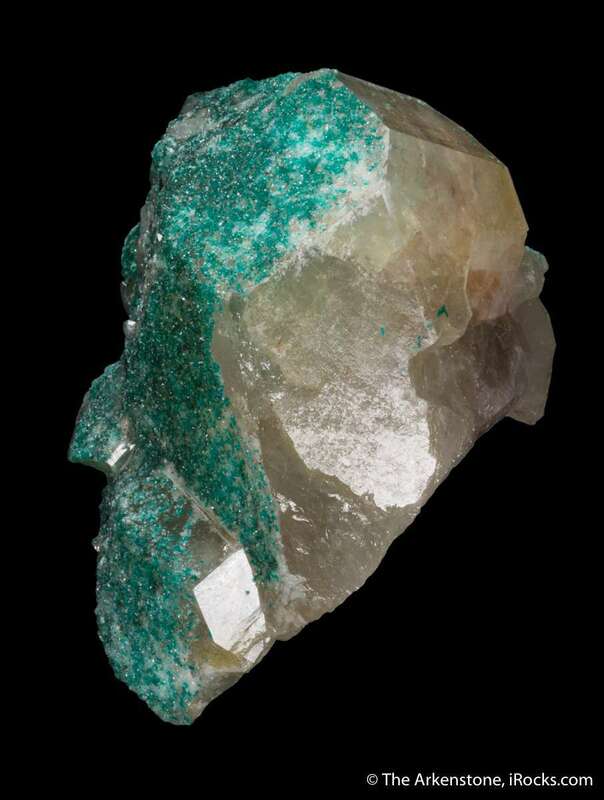 This is from the important Namibian collection of Marshall Sussman, and came out in the late 2000's from mining efforts by him, in partnership with Charlie Key.